Book Your Textile Tour Today! Incredible experiences await you! Reserve your place on one of our next upcoming textile tours. Enjoy demonstrations of traditional weaving, knitting and natural dyeing at the Chinchero Traditional Textile Centre. Take an unforgettable tour of the Sacred Valley with our Shaman, including the ruins of Pisaq, Pisaq market, and Awana Kancha Cameloid centre. 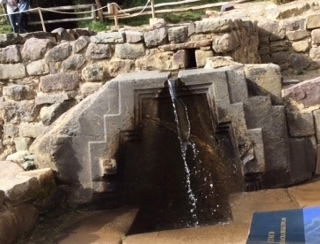 Visit Inca Ruins Sacsaywaman, Puma Pukara and Tambomachay. 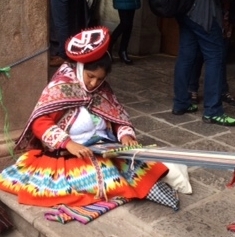 Visit World-Famous weaver Maximo Laura's Gallery in Cusco. Experience the city of Cusco on a walking tour, including the Inca ruins of Quoricancha, the Cathedral, San Pedro Market and shopping! 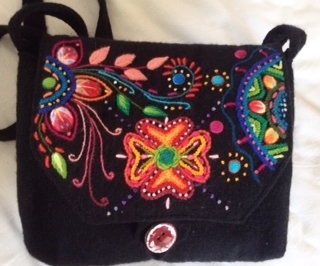 Teaching Tour to Sweden by World-Famous Master Weaver Maximo Laura - LIMITED PLACES STILL AVAILABLE. Don’t miss out! 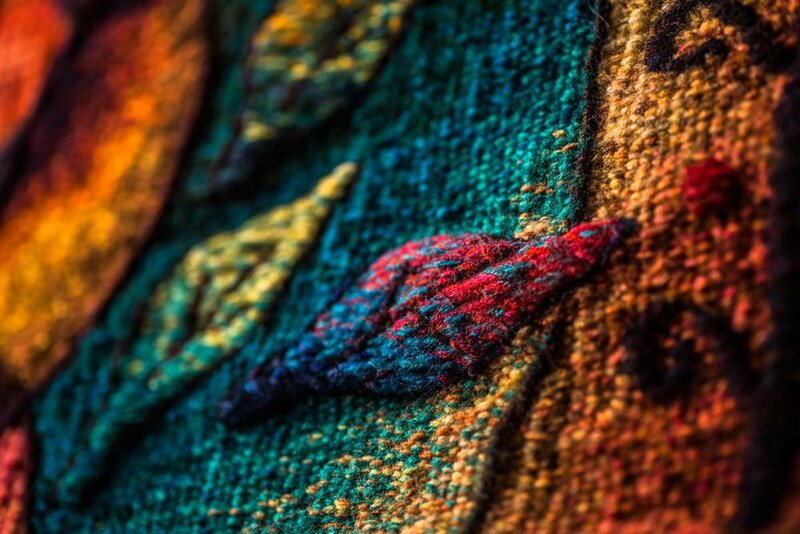 Master Tapestry Weaver Maximo Laura will be visiting Sweden in May along with his assistant teacher, Paola Laura, to deliver 3 x one week workshops at different venues around Sweden. Maximo will be teaching many of his typical textural techniques and participants will make a small wall hanging on his portable table looms. Maximo Laura was recently designated as one of Peru’s Living Treasures. This important award is given, following UNESCO guidelines, to an artist whose role is to preserve and elevate the culture of their homeland. Enjoy a two day workshop with world-famous Peruvian Master weaver, Maximo Laura and learn about his inspiration and learn some of his textural techniques while you weave a small sample. Join our Shaman on unforgettable visits to sacred sites including the incredible Machu Picchu. Take part in, or observe, a Ceremony of Gratefulness (Despacho) to Pachamama (Mother Earth). Immerse yourself in fascinating hands-on workshops with local craftspeople learning backstrap weaving, Andean knitting, embroidery, natural dyeing and more all taught by local artists who are masters of their crafts.